Your eyes work together as a powerful duo. Together they create contrast and give you depth perception. Although they are a team, you still have a dominant eye. But how do you know if it’s your left or your right? The determination is based on which eye is preferred, or leads the duo to success, like Batman to Robin. Finding your dominant eye is actually very easy. 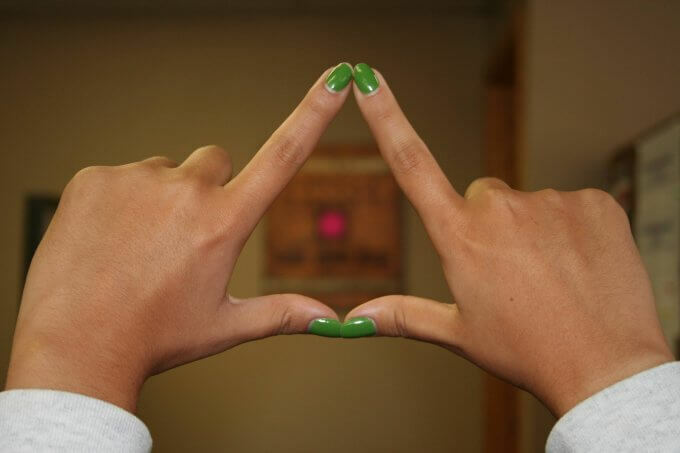 One simple test begins by outstretching your hands and creating a triangle with your index fingers and thumbs. Looking through the triangle, locate an object in the distance. Now close your left eye. If the object is still in the center, your right eye is dominant. Knowing which eye is dominant is useful in certain activities. Shooting, for example, is one of the more common practical uses of knowing which eye is dominant. Assuming your dominant hand and eye are on the same side, you generally won’t have any issues. However, if you are flip-flopped you may find yourself missing your target. If you are right eye dominant but aim with the left side of your body, you will find yourself targeting more to the right. Your right eye will be trying to align the shot, but with the gun on your left, you will be aiming too far right as a compensation. In sports, you will find that you have to adjust your view in order to make use of your dominant eye. 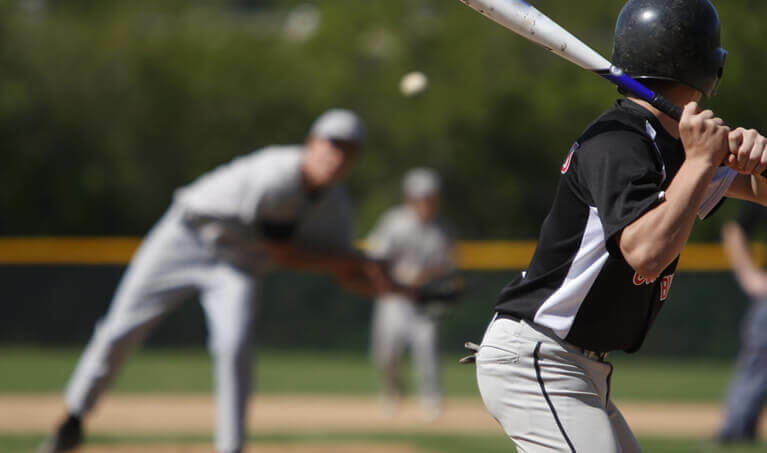 In baseball, a right-eye-dominant who also swings right-handed will have to turn his head more in order to make use of his dominant eye. Although very rare. It may be possible to have what’s called mixed dominance. Generally, when one eye doesn’t show a strong dominance over the other, the two eyes are mixed in what they are dominant over. One eye may be important for aiming down the sights, and another may be vital for a different task. As far as the science goes, the human brain often prefers one thing over its nearly identical counterpart, hence handedness and eye-dominance. For the eyes, in the back of your brain sits the visual cortex. The cortex contains neurons called eye columns. These columns tend to prefer input from one eye over the other… which I’m sure you’ve guessed, is your dominant eye. This preference, although to our cognition may seem annoying, is very important for muscle reflex/reaction at the unconscious level. 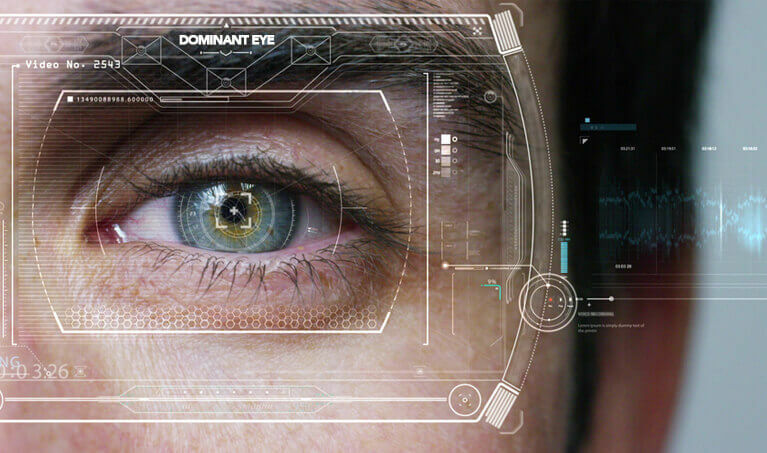 As far as theory goes, having a dominant eye allows the brain to determine threats just fast enough to potentially react a little bit sooner. Imagine two generals in a war tent. These two generals are your eyes and they have two conflicting visions of the battle. If both generals hold equal power, neither will make a decision and likely be destroyed by the enemy. However, let’s assume one general has more influence or outranks the other. This will allow a decision to be made much sooner, even if it’s the wrong decision. Following this decision, the body has, even if just a split second, more time to react, increasing the odds of survival. We encourage you to know which of your eyes is dominant for safety reasons. However, it’s not something you’re going to worry about every day. At least, we hope not. Luckily once you know which eye is dominant you can make any changes you feel are needed. This will hopefully benefit you and allow you to perform at a higher caliber, no more confusing shots at the range or unnecessary missed swings on the field. If you have any questions or input feel free to leave a comment. We are glad to hear them. Do you have solar viewing glasses for the up coming solar eclipse? Currently, we do not stock any eyewear for viewing the upcoming solar eclipse, but we are checking into it. To safely view a solar eclipse you need eyewear with an IR Shade 14 Lens or darker. To put that into perspective, a Shade 14 Lens is typically found in welding helmets, not safety glasses. These safety glasses are so dark they cannot be used for anything other than welding or viewing a solar eclipse, which makes them somewhat rare.